In 1913, a loving husband made his wife a golden wedding anniversary gift. Rather than buy her a bracelet or brooch, he wrote and illustrated a little book entirely by hand. 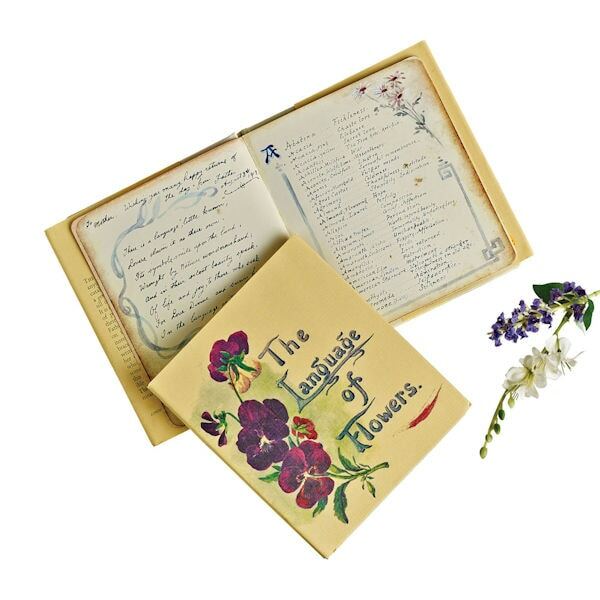 It lists 700 flowers by name, along with their traditional meanings. (A white daisy means innocence; a jonquil says "I desire a return of affection.") Found in a forgotten drawer, published in a facsimile edition, it's still a gift of love. Hardcover, 32 pages, color illustrations.